Our firm also represents individuals in state and federal courts in all categories of personal injury matters. These generally include claims related to automobile accidents, trucking accidents, motorcycle accidents, pedestrian accidents, bicycle accidents, dog bites, medical malpractice, premises liability, wrongful death as well as any matter where a serious personal injury has occurred. Auto accidents with cars, trucks, tractor trailers, 18 wheelers and semi trucks can cause severe, debilitating and permanent injuries. These accidents can emotionally and physically disastrous and may result in significant financial losses to the individuals involved and their families. However, the law provides an injured person with the right to recover his or her damages from the responsible party. Such damages include, but may not be limited to, medical expenses, lost wages, funeral expenses and other economic losses. Individuals are also entitled to recover for the pain and suffering caused by their injuries and treatment. The spouse of the injured person is also entitled to recover for the loss of consortium or services of his or her spouse. Although a monetary recovery can never repair the damage which is done to the individual, it can at least ease the financial burdens created by the car or truck accident. Motorcyclists and bike riders are involved in many accidents. 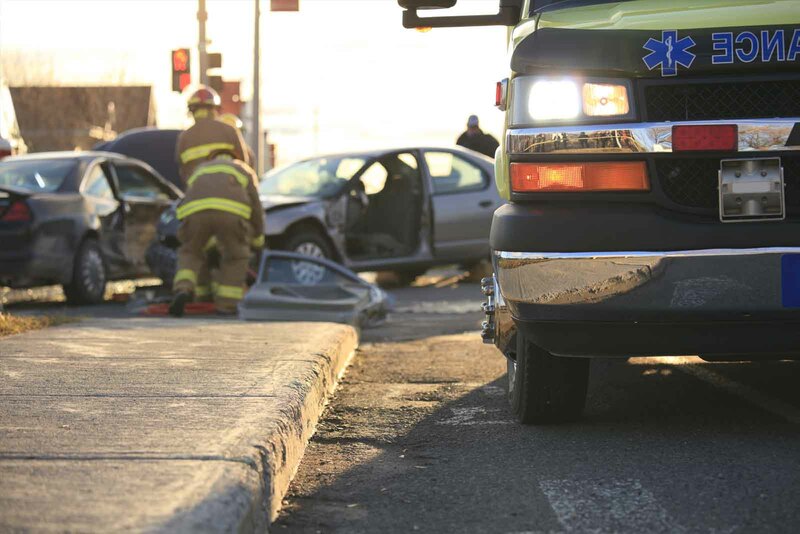 Oftentimes these accidents are the direct results of careless motor vehicle drivers failing to pay careful attention. Unfortunately, bike accidents regularly occur because automobile drivers are not vigilant in maintaining a lookout for cyclists. This is despite the many safety precautions taken by bikers when riding. In an accident between a bike and automobile, the bike generally loses the battle. These types of collisions are all too common on our roads today and may result in serious or even fatal injuries. Bikers are vulnerable, exposed and often have very little protection beside a helmet. Even motorcycle accidents at low speeds can result in serious biker injury. Accidents at high speeds usually involve catastrophic head injury, brain injury, spinal cord injury or death. If you or a loved one was hurt in a bicycle or motorcycle accident caused by driver inattention or a driver not checking the blind spot or following traffic laws, you may be entitled to monetary damages. Our law firm helps bikers seek compensation through personal injury claims. Fatal accidents and deadly injuries can be caused by the negligence of a caregiver, doctor, nursing home staff, product designer or manufacturer, motorist or truck driver, or other liable person. If your loved one was killed in a fatal accident or died due to another person's negligence or recklessness, your family may be able to get compensation through a wrongful death lawsuit against the person who was responsible for the accident. All initial consultations are without charge. Regardless of the nature of your personal injury claim, it is important that you are aware of your rights and that you act quickly to protect those rights. Failure to act in a timely manner may result in the loss of your right to pursue appropriate legal action to recover for your personal injury. A dog bite can result in serious and permanent injuries including severe lacerations, scarring, puncture wounds, crushed & broken bones, infections and emotional harm or death. Dogs have become more and more a part of our families. Often times, when dogs attack the results are catastrophic. They can inflict severe bone crushing injuries, severe puncture wounds, deep lacerations, and of course emotional injuries. Dogs attack humans for a variety of reasons including fear, protection of territory or to show dominance. While a person who provokes a dog is not eligible for compensation under the law, children of a certain age may be determined to be too young to provoke an attack. Victims of dog attacks may recover compensation from (1) a person whose negligence caused injury (the dog's owner or keeper) (2) persons who violated laws prohibiting dogs from running at large and (3) an individual who kept a dog knowing that the animal had a history of injuring people. Most home owners' insurance pays for dog-related injuries.